Do top‐ranking pages get new links at a faster pace than lower‐ranking pages? Ask almost any experienced SEO, and they’ll almost certainly say “yes.” But nobody has been able to prove this claim… until now. Cumulative referring domains growth for the keyword research guide currently ranking in position #1. That’s the pace at which the #1 ranking page for the query “keyword research” gets new links over time. Now let’s take a look at the page ranking in position #8 for that same keyword. Does it get new backlinks just as fast? Cumulative referring domains growth for the keyword research guide currently ranking in position #8. That’s nowhere near the same pace of link acquisition, right? So the question is: do top‐ranking pages rank high because they get lots of links, or do they get lots of links because they rank high? 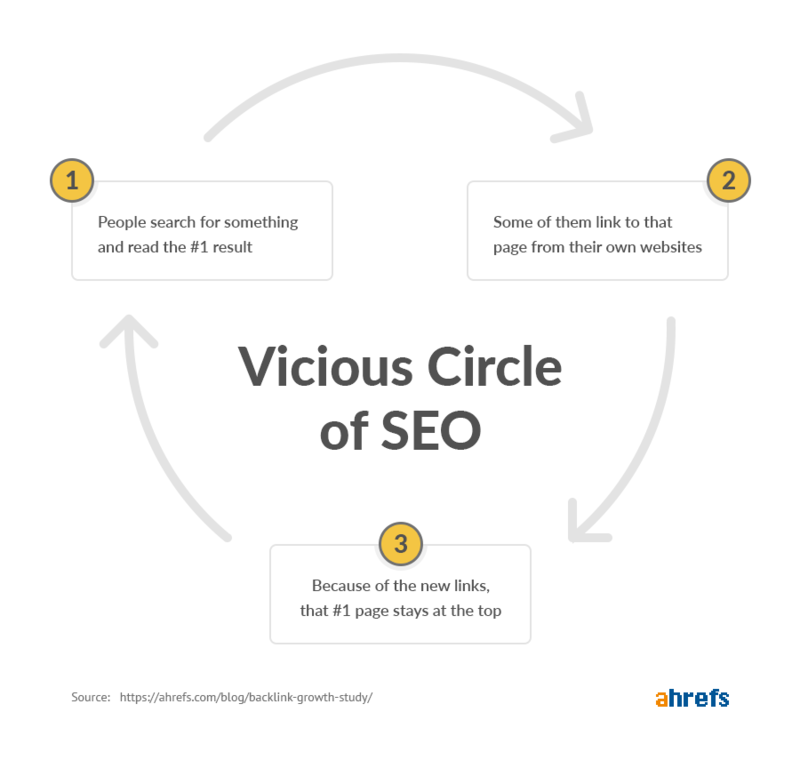 What is the ‘vicious circle of SEO’? 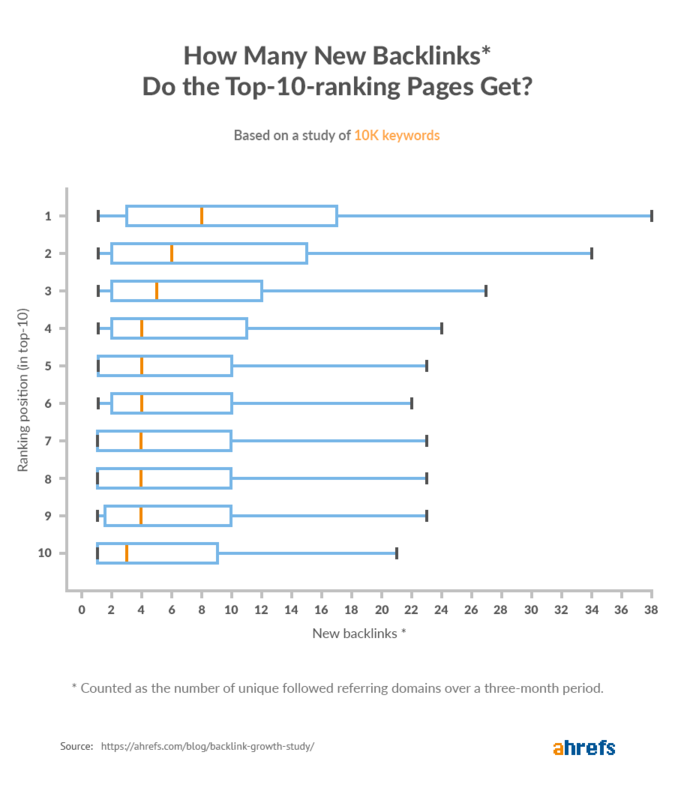 It’s the theory that people are most likely to link to top‐ranking pages. As a result, those pages get links at a faster pace than all other pages on a given topic. Thus, they are almost impossible to beat in the SERPs. Is there any truth to this idea? Keep reading for the study results. First, though, I want to share two reasons why it makes sense—at least in theory. Pages that rank high in Google get exposed to large numbers of people. Reason being, most users tend to click one of the first few search results. So when someone needs to reference a resource on a given topic at a later date, they’ll link to the page they’ve read—i.e., the top‐ranking page. They can’t possibly link to a lower‐ranking page because they never read this in the first place. I know this to be the case because I do it all the time. For example, in my white‐hat SEO guide, I talk about how Google doesn’t take kindly to PBNs. I also link to a resource on searchengineland.com to back up my statement. Excerpt from our guide to white‐hat SEO. Why did I choose to link to that specific guide? Because it was the first page that I came across when looking for a resource on the topic. That’s not to say I was too lazy to do more research. It’s just that this page was the first one I clicked, and it offered exactly what I wanted. So there was no need for me to open or read any other results. So it comes as no surprise that people are so eager to reference these pages when they need a good resource to link to. The nature of the ‘vicious circle of SEO’ means that top‐ranking pages get an above average number of backlinks. And, as we know, backlinks are one of the strongest Google ranking factors. 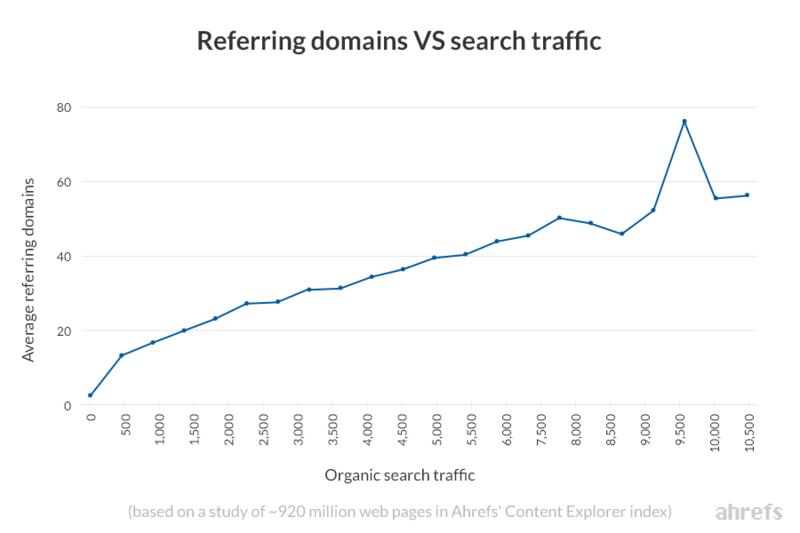 The correlation between referring domains and organic search traffic, based on a study of ~920 million web pages. So, as a general rule, the more backlinks a page has, the higher it ranks in the search results. This makes the top‐ranking pages INCREDIBLY difficult to outrank. Everything above is just a theory. 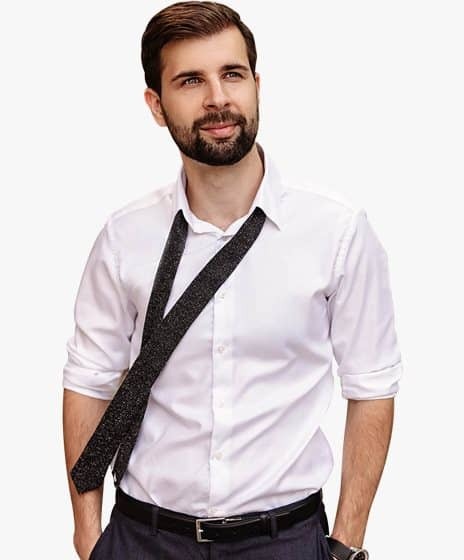 It’s based on a small number of cherry‐picked keywords where high‐quality content ranks at the top and, thus, consistently attracts new backlinks. But does the ‘vicious circle of SEO’ hold true at scale? In other words, 50% of all resulting values fall between the left and right edges of the bar. The line inside it represents the median value. To build this graph, we took 10,000 non‐branded keywords with monthly search volumes in the 2–5K range. Then we pulled the top‐20 ranking pages (in the US) for each of them. Next, we looked at the number of followed referring domains for each of the resulting 200,000 pages. From this, we determined how many of them were acquired in the last three months. Note that we removed the top 10–20 positions from the graph, as the observable differences between these pages were negligible. Result: As you can see on the graph, the top‐3 search results tend to generate more new followed referring domains than the rest of the pages in the SERP. 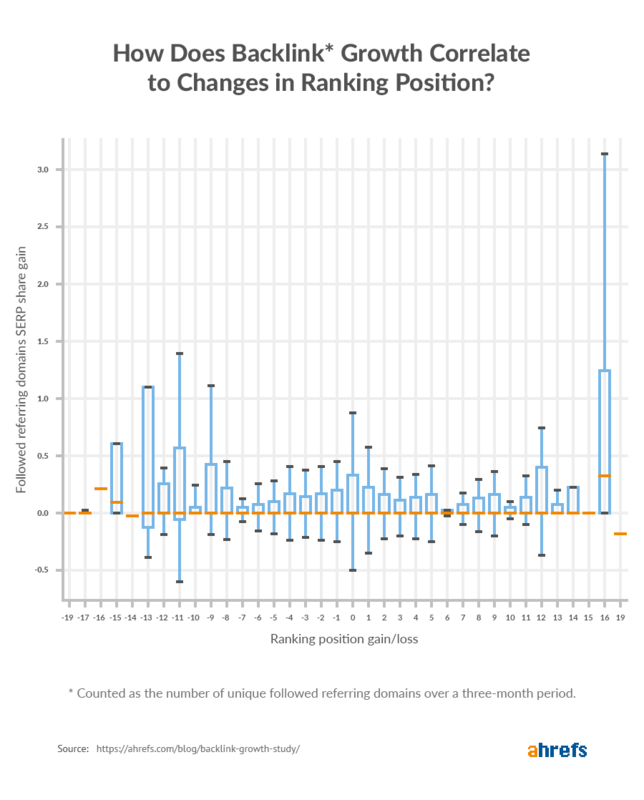 We also looked at the correlation between the number of newly‐acquired followed referring domains in the last three months, and the position of a given page in the SERP. We calculated this for each of the 10,000 SERPs and plotted the resulting correlations on a graph. 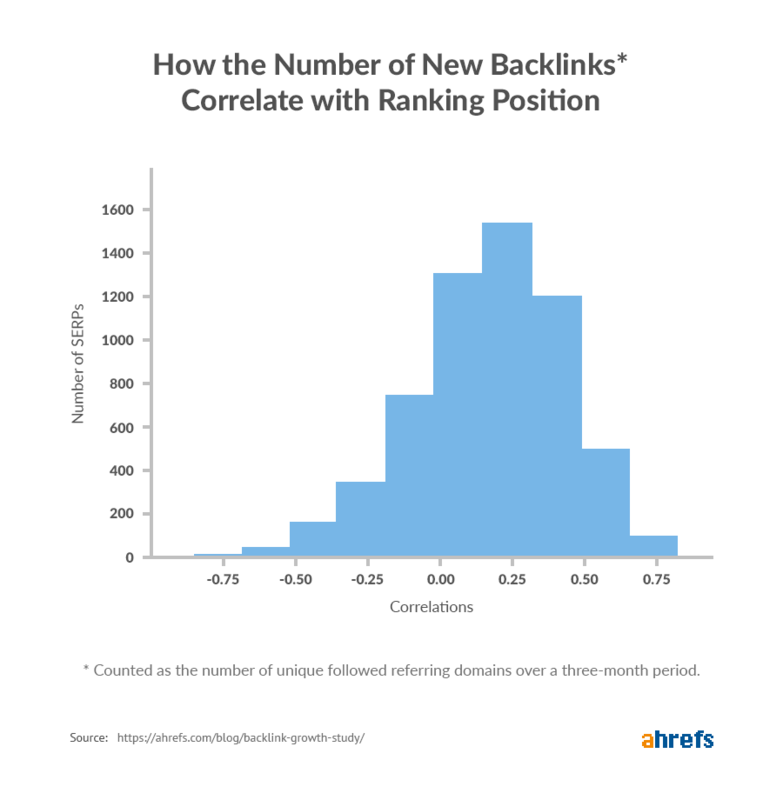 You can see that there is generally a positive correlation between the number of newly‐acquired backlinks and the position of that page in Google. It never hurts to play the “correlation ≠ causation” card. Even though we have a strong belief that pages get backlinks as a natural byproduct of ranking high for popular terms, our experiment and its results can neither support nor disprove that theory. To study the cause and effect, we would need to carry out a different kind of experiment. 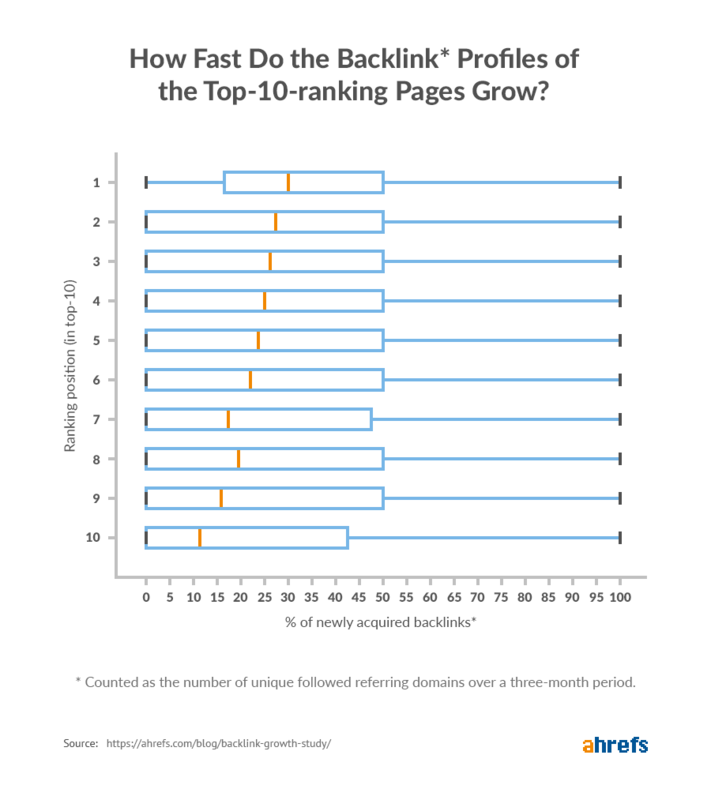 How fast do top‐ranking pages get new backlinks? For a deeper insight into the pace of link acquisition for the top‐ranking pages, we need to calculate the percentage by which their backlink profiles grew over the past three months. Page B: 100 referring domains. 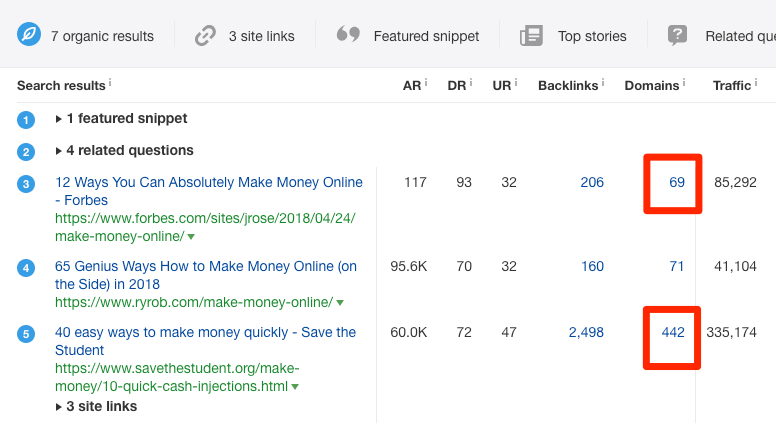 It turns out that most of the #1 ranking pages tend to get followed backlinks (from new referring domains) at a pace of between +5% and +14.5% per month. For example, if you’re trying to rank for “cute cats,” you might think that you need links from at least 55 referring domains to stand a chance at beating the current top‐ranking page, which has links from exactly that many RDs. But let’s say that it takes you three months to build that many links. By that time, the backlink profile for the current top‐ranking page will have grown by between +17% and +50%, meaning that it’ll now have links from between 64 and 83 referring domains. So you need to build as many as 83 backlinks in 3 months, just to keep up. Do you want to know how fast the #1 ranking page for your target keyword is acquiring links? Check the Referring domains graph in Ahrefs’ Site Explorer. This is slightly below average. But if you’re looking to compete, it’s still a lot of links to build in a relatively short space of time. NOTE. This graph shows a cumulative view of all links types. It doesn’t exclude ‘nofollow’ links. For that reason, we recommend using this graph only to get a rough sense of link growth rate. As for the rest of the top‐ranking pages, we saw a more evenly‐distributed performance between +0% and +14.5% per month. But if you look at the median values, you can see a clear trend: as the ranking position declines, so does the median pace of link growth. We just learned that there’s a clear correlation between the pace of link acquisition and the position of a page in the Google search results. So does that mean that you’re going to rank higher if you acquire new followed links faster? And are you going to get kicked out of top‐10 search results if you fail to keep up with the pace of others? We tried to study if there was a correlation between link acquisition rate and SERP movement. For that, we pulled the 3‐month old SERPs for all keywords in our sample. Then we cross‐referenced the pages that ranked in the top 3 both then and now. I know this graph might seem a bit scary and hard to read, but that’s precisely because we failed to distill any observable relationship between the pace of backlink acquisition for top‐ranking pages and their respective ranking positions. What we were hoping to see was that bars on the left would tend to drop below zero on the y‐axis, while the opposite would be true for bars on the right. If this had happened, it would indicate a correlation between the pace of link acquisition and rankings. 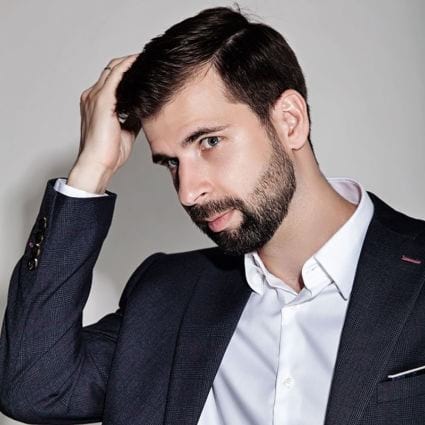 A possible explanation as to why we didn’t see that happen is because “not all links are created equal.” Every SEO knows that the sheer quantity of links doesn’t mean much if the quality isn’t there. Furthermore, backlinks aren’t the only “ranking factor.” Google takes many other things into account when ranking pages, such as behavioral factors (e.g., dwell time) and content quality. 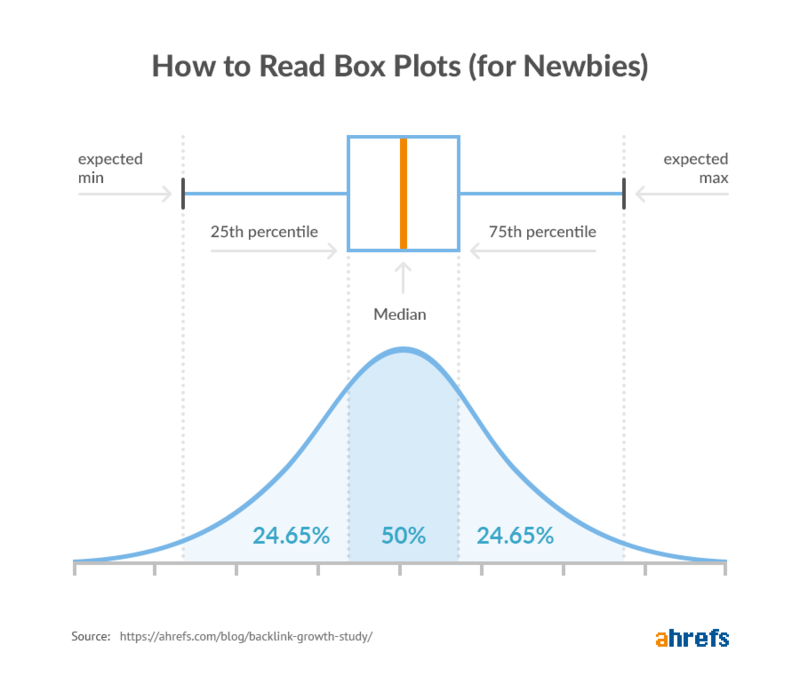 For the SEO data nerds, here are the details of our experiment. (Maybe you’ll find some flaws in it, or even suggest a better way to study this). The x‐axis shows if the page went up or down in its ranking position, and by how many places. The y‐axis shows the so‐called “share gain,” which essentially measures whether a page’s backlink profile grew (or declined) in relation to the rest of the SERP. Calculated what percentage of all followed RDs each page in SERP accounted for. Note. These are simplified numbers for illustration purposes. Then we checked how these same SERPs looked three months ago and repeated the calculation. We then calculated the difference in the “SERP share of followed referring domains” for each of the ranking pages. After doing this for all the keywords in our sample, we plotted all the resulting values on the graph above. Our experiment shows that top‐ranking pages do tend to acquire more backlinks (and at a faster pace) than the pages that rank below them. But one thing we can’t say for certain is why this is. It may be a completely natural byproduct of ranking #1 for a popular query, or it may be because the owners of these sites are actively building links to these pages. In reality, it’s probably a mix of both of these things. One thing we weren’t able to obtain any statistical evidence for, however, is the idea that acquiring more links (and at a faster pace) than your competitors is a strong ranking factor that has a significant influence on rankings. So eventually, we ended up exactly where we started. Our advice has always been to build quality links and create helpful, easy‐to‐use websites that people enjoy browsing. These things still hold true.